Charles Bernstein, 2006. Photo by Cecilia Gronberg. If poets are said to be “painters with words,” then Charles Bernstein would surely moonlight working in a custom frame shop. With samples lining the walls—from the gaudiest fake-gold scrollwork to the most austere black lacquer finish—I imagine him testing the clients’ nerves by frantically holding every outlandish sample to the edge of their pictures to assess the overall effect. A cheap clip-frame for a museum’s masterpiece, gilded silver leaf for a baby’s doodle, exotic wood for a crappy poster won at a carnival. His is a poetics of framing and re-framing, with a guarantee: if you end up liking it, he’ll quickly try something else, for free. We met last December to talk about his new volume of selected poems, All the Whiskey in Heaven ; this is a segment of our ongoing conversation. Charles Bernstein Their natural habitat might be more toward curmudgeonliness and isolation. That was around Jackson’s 60th birthday in 1980. I organized, with Anne Tardos, a huge birthday tribute to him; he would have been about my age at that time. We had an incredible lineup, including artists such as John Cage and La Monte Young. Jackson was part of an intense performance network but he wasn’t sufficiently accepted as a poet. His personality was not such as to push against that lack of recognition. So that’s where I came in, because when Bruce Andrews and I were doing L=A=N=G=U=A=G=E , starting in ’78, Jackson was acutely important for us. JS It’s your particular manner of “coming in” that Jackson so keenly expressed. I wouldn’t understate the importance of that aspect of your early work: the championing of highly eccentric writers such as Hannah Weiner or Robert Grenier, just to mention two whose work has heavily impacted my thinking thanks to your efforts. If you examine L=A=N=G=U=A=G=E closely—which gets historicized as a militant aesthetic break—you find that it’s actually as much about this connectivity that sets the stage for your continued activities as a booster, promoter, anthologist, and archivist of exotic/esoteric poetries. In the introduction to The L=A=N=G=U=A=G=E Book , you invoke the metaphor of a latticework. The image distributes power differently from, say, a line or a thread, which might point to a calculated tethering toward your own poetic practice. CB The term is Bruce’s, but we share the concept. When we started L=A=N=G=U=A=G=E we were trying to open up conversations across divides. As you say, rather than trying to narrow things down, the journal was about dialogue not just among poets of the same generation and the same perspective, but among poets of different generations, and also with those in the other arts. Still, the reaction in terms of the parochial world of poetry was that somehow something exclusive was being launched. We proposed an alternative to what then dominated as respectable poetry. Ours was a poetics of (some of) the excluded. JS And a rearticulation of temporarily closed-down possibilities, an effort to animate connections that were there to be made, but which others couldn’t see. CB We tried to trace a history of radical poetics, taking up the model presented in Jerome Rothenberg’s Revolution of the Word , and later by Rothenberg and Pierre Joris in Poems for the Millennium and Marjorie Perloff in The Futurist Moment . When you go back 30 years, you see that poetics that now are widely accepted as foundational for contemporary poetry were harshly rejected then. Poetry’s center of gravity has shifted to the poetic left, to call it that, though not everyone has heard the news. Even in the more mainstream poetry magazines now there’s a certain amount of work that is far looser and formally radical than you would have seen in the mid-’70s. 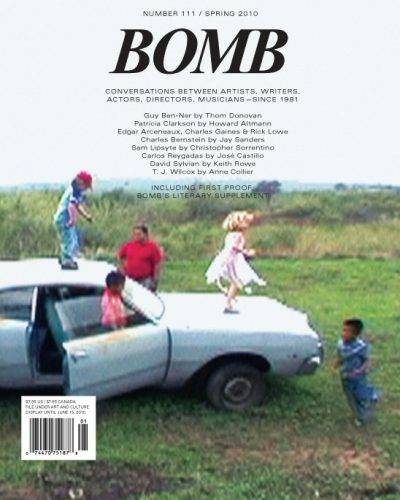 Cover of first issue of L=A=N=G=U=A=G=E, edited by Bruce Andrews and Charles Bernstein. New York: February 1978. Layout by Susan Bee. JS In your and your poetic peers’ early work, you feel that intensity of purpose, of provocation, amidst what was perceived as a staid poetic and political climate. Drawing on peculiar inspirations and tactics, that anxiety or struggle of reception seems implicit in the actual textures of your work—it’s its key attribute. As your combined efforts have gradually opened the field, that shift in reception can be felt too, mirrored in the poetry that’s subsequently emerged. You find more work now that can calmly execute formal disjunction. CB That’s right; the difference that I would make is that some recent poetry and poetics concertedly take out the contentiousness from formal invention. This comes up with the Norton American Hybrid poetry anthology; while the editors welcome a certain kind of elliptical, fragmented style, they also try to find a happy mean between extremes. For me, it’s the extremity, the eccentricity, even the didacticism, that shakes things up. When poetry becomes normalized and more oriented toward craft, it loses the point. I’m not interested in any of the styles, per se, that were developed in the ’70s and ’80s—my own or anybody else’s. The issue was never stylistic technique as such. You have to read that era in the context of the intense resistance to nonlinear poetry, to algorithmic forms, to appropriated language, and non-“I”-centered poems—all of which are now accepted. Even the procedural is just one technique or form that emerges, sometimes zombie-like, to reveal hidden codes, or other times just as textile, as generator of texture. JS The first experimental poetry I totally connected with was Cage’s and Mac Low’s—their procedural forms were also in discourse with conceptual-art practices of the ’60s. They were overt and strict about their compositional processes, no matter how odd the result. I initially had a tougher time with writing that was more hybridized, writing that was procedural but dealt with formal issues in an attenuated way—moment by moment within the shifting context of the poem itself. Procedures and compositional strategies were at work, but they weren’t spelled out for you. Yet increasingly, it’s these hybrid forms that I find most interesting. CB That’s almost the opposite from the use of hybrid in the Norton anthology: that’s the delicious irony. As a certain “high-bred” ellipticism becomes more mainstream, it risks leaving out what, for me, is the most radical dynamic: putting together seemingly unlike things to create unassimilable textures and experiences. In the L=A=N=G=U=A=G=E interview with Mac Low (he called it a “museletter”), I ask him, “Do you ever cheat?” By which I meant, not use the unexpurgated results of his text-generating procedures. I think that’s what you mean by hybridization. I would prefer the word syncretic rather than hybrid, the latter being a problematic organic metaphor. That’s my obsession, to put together apparently incommensurable things that in combination take on an uncanny force or intensity. Mac Low answered in a genial way: “No that’s not what I do. I set up the rules. I may make an error …” Once he set up the system, then he accepted what it reaped. I tend to read his work in an aesthetic way and say, Well, I love the texture of this and to create it, I need to change that word to bring out some coloration, some discrepancy that is insufficiently articulated by any single system. My work is bricolage. I do what I like at any given time. Occasionally there might be a few strictly procedural poems, but even those tend to be ironic in the way that they use or deflect the procedure. I’m a pataphysician, looking for the swerve and the particularities rather than anything that could be created in a single, totalizing form. If you go back to Mac Low’s generation—not just in poetry, but also in the visual arts, music, and performance—you see the emergence of procedural work. My work, right from the start in the ’70s, has been postprocedural or postconceptual. That’s the work we were doing in L=A=N=G=U=A=G=E as well. JS Several years ago, you introduced me to the playwright and director Richard Foreman. With aleatoric, chance-generated composition, knowing the rules or system at play allows you to relax in the face of its difficulty—there’s nothing hidden from view. But Foreman actually composes a similar multitude of ambiances, shifting the tone and perception at every step, despite the fundamental looseness of his writing and the ad hoc nature of his staging. CB That’s exactly the affinity that I feel with Foreman’s work. I’ve seen every piece of his starting in 1975, when I moved back to New York after being away for seven years. In an interview I did with him in 1992, we hash through some of these issues. JS You seem to always stand in the doorway, vacillating between theory and practice, criticism and art. The voice of the poet and the voice of the critic are performed, almost like hand puppets that you occupy for a little while, manipulate, and then abandon. I don’t see you stepping outside your poetic practice to speak in a declarative way when articulating aesthetic issues. Instead, that spectral range between making a poem and responding to one becomes a wide field of activity. You know, one of the reproaches I’ve often received—and I’m not alone—is that my work is much more interesting as theory. From my point of view, I never write theory anyway. However, I am not interested in breaking down the distinction between essays and poetry: as a rhetorician and sophist I am committed to those genre distinctions, although one genre is not subservient to the other in my queer practice. I think of it as a swerving between holding stations, and even as a vying to undermine the authority of both. It’s true that, on the one hand, I mock and destabilize the foundation of a commitment to lyric poetry as an address toward truth or toward sincerity. But, on the other hand, if you’re interested in theory as a stable expository mode of knowledge production or critique moving toward truth, again, I should be banned from your republic. (I’ve already been banned from mine.) My vacillating poetics of poems and essays is a serial practice, a play of voices. CB All the Whiskey in Heaven . JS Yeah, your first volume of selected poems. I was thinking also about your relationship to genre within specific poetic forms. Filmmakers come to mind—those who work within the constraints of genre but transfigure them too, to reveal just how much formal innovation you can sneak in through the back door. CB That’s central, but becomes more apparent over the course of my work. I think of poetry as the field of potential writing, as a supergenre that is striated by subgenres but is also hyperabsorptive—it can sop up an infinite range of linguistic styles and forms. It’s more interesting to me to think of the lyric poem (or pastoral poem, urban poem, found poem, disjunctive poem, epic poem, constraint poem) as a genre, in the most debased and self-conscious sense, like thrillers or detective fiction, than to think of poetry as an intrinsically high art form. Creating such debased genre poems—that’s fodder for whatever activity I’m involved in, but that activity operates within the supergenre, the pluriverses, of poetry, consciously reflecting poetry’s very long and dubious history. Poetry as a supergenre, rather than as a subgenre, can be understood, as David Antin likes to say, as the language art. It’s the verbal art, the research-and-development arm of language. Yet, despite its history, the possibility of poetry still remains a surprise, because, in a way, the fact of poetry as art remains unknown. Shade. College Park, MD: Sun & Moon Press, 1978. Cover art and design by Susan Bee. JS Your poems acknowledge that they’re creating their own contexts, building their own frames as they go along. At the level of each book there’s a focus on interior site-specificity, and a composed series of tensions throughout. The prospect of a volume of selected poems must rouse these matters, as the poems fall out of their settings. With each of your past books so highly choreographed, what about the structure of All the Whiskey in Heaven? I’ve never composed my full-length books chronologically, I’ve always put them together as a “group show,” with works drawn from a range of time and exhibiting a variety of styles. Then I realized the obvious: Why not just think of all this past stuff as material to create a new constellation? This approach freed me from the idea of “the best,” about which I don’t have a perspective. I decided to create a new book that would have its own character, not just as a retrospective. It’d be different from any of the other books that I’ve done and yet would still have one major structural similarity: the maximum difference of one poem to the other. I ended up dividing the work evenly over the 30 years, and rather than including more than a few of my long poems, or some of my favorite poems that do somewhat similar things to other poems included, I picked poems that have their own strange aesthetic, their own formal, cultural, and social logic. The first poem in the book, “Asylum,” from the mid-’70s, is a cut-up entirely from Asylums by the sociologist Erving Goffman, mostly focusing on the last few words of a sentence and the first few words of the next, and then constellating these clips into a field or array. Asylums is about environments cut off from the outside: insane asylums, monasteries, prisons. After that first poem, I selected works in terms of how they contributed to this particular book. The sequence creates an environment in which poems bounce off one another, rather than build up a narrative or reinforce a theme. It’s almost like ping-pong. I’m looking for maximum concatenation based on the principle that each poem prior creates a context for the next poem, which then, in turn, shifts the context, and so on. So, in that sense, the poems are situated within specific contexts, and are not experienced just in and of themselves. Their meanings are always rhetorical and performative. JS Speaking of performance, in your work there’s always a complex engagement with entertainment in its numerous forms: comedy, shtick, voice, popular music, and poetic clichés. You jumble together amusement and rigor, and what emerges is a bedraggled form of sincerity that’s comedic and tragic, dead serious but off-the-wall all at once. CB Tan Lin talks about an ambient poetics—thinking of Brian Eno in part—that would provide an easy listening experience in contrast to the ostensibly more demanding disjunctive, abstract poetry associated, say, with Pound and Eliot (but also some of my immediate company). I find this an incisive and witty critique of difficulty in poetry. Yet the work that Lin envisions may be even more incomprehensible for some readers than difficult poems from earlier periods. In my work, difficulty is a texture, not a goal. Sometimes I’m interested in difficulty and sometimes I’m interested in things that slap you in the face with their obviousness. I’m also interested in all of the textures in between; the movement among these textures created the poem’s rhythm. If difficulty is a rhythmic or textural mode, then accessible entertainment becomes another rhetorical possibility, another tone—or trope. But I wouldn’t want to rest in either one. In All the Whiskey in Heaven a radical legibility emerges: the reiteration of the same structure, making it difficult to lose attention. Lin contrasts ambient poetry with the kind of poem in which, despite your trying hard to pay attention, you lose the thread. This creates an anxiety that can be interesting in itself. But can you also create a poetic experience in which you can’t get lost? I’ve tried that through a reiterative structure, where even if you don’t get how lines relate to each other, still each new line is like a rivet—it’s so radically legible that you can’t lose the thread. It’s a disturbing process because your mind can’t wander, the form is too commanding. Then again, the anxiety of missing something crucial can also be very entertaining (textual slapstick) when it’s staged within a context of other sorts of textures. A number of my poems play on the inability to follow, which is the closest I ever get to mimesis of my everyday life. All the Whiskey in Heaven: Selected Poems. New York: Farrar, Strauss, and Giroux, 2010. Cover photograph by Emma Bee Bernstein. As a sophist, my view is that nothing is an end in itself, but only a means to another means. The passage from means to means is rhythm. My poems are “truth in the body of falsehood,” as Jerome McGann puts it. Sometimes the work will be entertaining—I never lose the opportunity to have puns, the forms of jokes as much as jokes, anecdotes, aphorisms, doggerel. But there are necessarily other patterns that I use, some of which are charming or engaging or funny or lyric, but some of which are downright rebarbative and others of which are obtusely philosophical. As you know, dear Jay, this work would not make it in the entertainment industry, which demands a product that’s entertaining in the same way through the whole act. Still, I’m often unpersuaded by dullness!—where a particular idea is repeated or displayed in the same way throughout a single work. My approach might appeal to a reader or listener who likes shifting surfaces and intense modulations—vacillations—of tone, from the dark to the comic and back again, but where the overall structure pulls you into its sometimes melodious and sometimes cacophonous pulses … The discontinuities, as they meld, intensify the experience. JS Again, something you share with Richard Foreman a great deal: getting lost on purpose in the particulars, abandoning the point from the get-go; turning something over again and again to shake out as many disparate versions of it as possible. CB The way Foreman poaches various performance, visual, and poetic discourses—from highly formalized choreography to avant-garde film, Dada and Surrealism, Brecht, Gertrude Stein, and vaudeville—to create a web of intensifications has been an incredibly powerful model to me. There’s no underlying system that explains what I do. (Lots of poetry and theater, of the more conventionally expressive kind, would likely naturalize their singular structuralizing principles, using an ideology of craft to enforce consistency.) My work is without principle, though not without its peculiar aesthetic, palpable sensibility, and patented ideological blinders. The absence of principle is a principle. My poetics is contingent and inductive; based on a stubborn desire to put one thing after another to create as powerful an aesthetic experience as I can within verbal language. JS Your poems make overt gestures to acknowledge that the audience is there; that’s key and emblematic of your work. The reader’s “being there” is specifically addressed, in countless ways. The sense that “the show must go on,” and is always going on, means that you constantly reveal how its illusions are created right there as they’re being created—the opposite of hermeticism, although, superficially, the work may seem, at times, hermetic. CB Hermetic works traffic in secrets; I prefer the scent of secrets to real secrets. There’s nothing up my sleevelessness. I’m not creating anything that’s hidden, as far as I’m concerned, though many things are hidden from me. I’m interested in making palpable the experience of accessing verbal language, whether performed or written, using that accessing as part of the poem’s extended social field. The audience is not outside the text but part of the poem—I work with how someone coming to written text or someone hearing a poem in performance is going to experience the language. It’s almost the phenomenology of reading, which is different than attempting to convey a meaning or express a feeling. My approach considers how the reader/listener enters a verbal space, and therefore is more architectural. Verbal language is commonly associated with information giving, the law, and logical or discursive formations. Those associations die much harder than they do, for example, in visual or musical language. In a poem, in verbal art, we may avert those use values of language, negating their ostensive purpose for the purpose of reflection. But verbal language is such a powerful (and largely invisible) force in our culture, and so regulating of its perceptual systems, that its normative and symbolic force charges every aspect of the way in which verbal art is experienced. That expanded field of the verbal unconscious is the medium you’re working with as a poet: it’s not just the letters on the page, the squiggles, the meanings, the meter, but the way in which the social materiality of words are encountered, and grappled with, by readers. That is, the medium of poetry is not the ideas or the words alone, it’s not the poet’s private thoughts: it’s the words understood as a social medium with which the public interacts (I like to say, interenact). The reader or listener enters philosophical buildings. The poet creates different shapes and spaces for the journey, with shifting landscapes and environments. JS When we first met, our conversations were oriented toward connections between verbal and visual activity, but there are, of course, tenacious differences between both art forms. At times I meet young poets inclined toward the art world who find it frustrating that there’s a tether on more radical work, as it must explicitly defend its experimentalism from a strong current of poetry that demands a natural language and lyrical verse. While in the art world, going back now well over 50 years, you have abstraction, then minimalism, then conceptual and process art, institutional critique, etcetera, and these advances build atop each other fairly comfortably. Today you could scarcely imagine a visual artist being confronted for being non-naturalistic. It’s a nonissue in the visual arts, but in poetry there seems to be a continual fight over this that can’t be put to rest. Left: Poetic Justice, Baltimore: Pod Books, 1979. Right: Asylums, New York: Asylum’s Press, 1975. Cover art and design for both by Susan Bee. CB You’ll think I’m kidding, but it’s a terrible loss that in the visual arts there is no longer that struggle over the “real.” While it seems that the apparently ubiquitous acceptance of the nonrepresentational as well as the post-conceptual and para-conceptual (we are not “post” anything but live alongside the history of our arts) would make the visual arts more radical, it hasn’t turned out that way. The visual arts are no more and no less radical than any individual artist makes them. Like you, I’m against any reductive comparison between the two mediums. Gestures toward verbal language or poetry in the visual arts are often embarrassingly weak, just as visual-art gestures in poetry are often banal. Direct comparison of poetry and visual art in terms of notions like representation or conceptuality is a categorical mistake. We each have our own battles to fight, our own contexts to work within. JS If poetry’s advantage is its struggle over meaning, then for visual art it’s the struggle over presence and plasticity, a tension that will only become more imperative in times to come. It’s now nearly ten years since we organized the exhibition Poetry Plastique at Marianne Boesky Gallery. Our endeavor was to present poetic objects—to look in on contemporary practices that intensify the overlapping particularities of poetry and art, and revitalize the ongoing history of collaborations and corollaries between these artistic worlds. CB Visual art has an enormous power in terms of its fashionability, its market share, but it has the burden of seeming to be just decorative and not grappling with the issues of knowledge, ethics, truth, or power. Whereas poetry is so tied to the verbal realm’s information-giving and representational qualities that any movement away from that still creates a visceral response—that is one of poetry’s great resources and also the reason for it’s being one of the unpopular arts (proudly so!). In Poetry Plastique we showed powerfully syncretic works in which both the verbal and visual dimensions were in full force. JS It’s hard to think of anyone who’s worked more tirelessly for the cause of innovative poetry. At this moment, can you reflect personally on that longstanding resistance against the kind of work you find most engaging, including your own? CB Yeah, the entrenched conservativeness within the institutions of poetry is discouraging, but it goes with the territory. I’m working with a medium that people have deep predispositions about. So it’s… bracing, as they say when you go into very cold water in Cape Cod. As I say in another context, capitalism may not be destiny but it sure feels like it. It’s always an uphill battle, always starting from scratch with each new reader. Yet there is great exhilaration, the potential feeling of discovering anew how our verbal language constitutes the meanings in the world. JS At its best, poetry becomes a fantasy space, a rarified setting where the full range of language’s potential, including all its inherent cultural baggage, can be put into free play. While in your work you’ll try every trick in the book, including tricking the book, you always let the poems speak for themselves. In light of our discussion here, I can see how the emergence of what’s being labeled “conceptual poetry” points to the impatience of some poets for their work to be seen as art. It forces the issue more directly by aping the vernacular associated with appropriation art of the ’70s and ’80s and grafting it upon their poetry practice to see what might still be potent in these tactics. Yet this way of working risks drawing attention back toward the author and his or her deft power to reframe and display what’s been appropriated, estranged by the magic of nonauthorship. I like work where you can’t see the signs of control so clearly, where the author appears to have willfully relaxed the conventions of control or the initial focus amidst the actual experience of the work. CB I feel implicated by what I’m doing rather than outside it. I am complicit with the deep structures and the superficial overlays of the social world I engage. Perhaps what’s characteristic of me is the (necessarily impossible) evasion of doing the same things again, which is its own form of repetition. The dynamic of my work is to try to push beyond the little I’ve been able to understand at any given point. If I understand how to do something, then that ceases to be as interesting—I’m looking for work that’s beyond my understanding. If I start with “Asylum” in this book—a closed system—then I’m trying to find a series of other systems, verbal constructions, within which I am enfolded. I don’t feel superior to the materials that are being quoted, cited, or ironized; I am made by the tissue of their textuality. I have no place to stand outside of the circuits I inscribe. I’m not striving for critical distance; I’m trying to overcome it through writing new poems. I don’t imagine that I can get free of mystification. As Marlene Dietrich sings in bombed-out postwar Berlin in Billy Wilder’s 1948 film A Foreign Affair , in that incredible historical moment of transition from one totalizing system of illusions to another one: “Want to buy some illusions? / Slightly used, secondhand?” I’m a satirist, but I’m satirizing something which satirizes me. I’m not outside of the flows of commodification. I want, though, to articulate how I’m always inside those flows, a fellow victim of the tides. I’m a ventriloquized voice from that inside. Jay Sanders is a curator, writer, and gallery director at Greene Naftali, New York. Photo by Paula Court.